I gotta admit, 80% of my anime knowledge is limited to Trigun and Cowboy Bebop (though I've also seen One Punch Man). However, I do still recognize the name My Hero Academia, and I'm sure that several of my big anime-watching friends will be excited to know that Shinobi 7 is going to be making a My Hero Academia card game. Some of you are probably pretty excited about that, too. 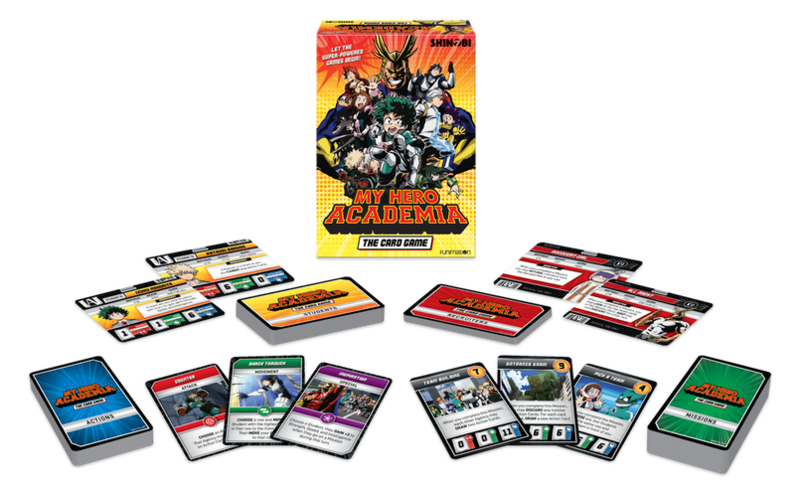 ?In My Hero Academia: The Card Game, you must recruit super-powered Students to your Hero Agency. Select Students with the best combinations of Quirks, (super-powered abilities) to complete challenging Missions and become the mightiest Agency around!